Located in the Okanagan Valley’s picturesque town of Summerland, we visited this winery in 2012 and have been saving this bottle for a suitably appreciative crowd. One surfaced tonight in the form of parents who made us a beautiful dinner of hot Italian sausage stew with fresh garden vegetables and jasmine rice. It was especially perfect as we’d suggested said parents visit said winery last summer based upon our own visit. They’d enjoyed it just as much as we had. As we’d expected, this wine complimented the dinner perfectly, set against the backdrop of a Saltspring Island Labour Day weekend sunset and some happy banter. This wine is clear and bright, deep ruby red with deep and even legs. On the nose, it’s clean and developing with medium plus aromas of boysenberries, blackberry vine, cassis and white pepper with cigar box. On the palate it’s dry with grainy and elegant tannins, medium plus alcohol and medium body. The medium plus flavour characteristics include more field berry, boysenberry and blackberry, vine and leaf, tobacco, black pepper and cedar frond. The finish is medium plus. WSET ‘very good’ and can be cellared and kept for 5-7 more years. Long life is possible with this lovely example of a new world, fruit forward and complex wine. The only beef I have with this wine is the use of the plastic cork. They’re hard to get out and so unseemly. I’d be happier with a screw cap. A perfect wine to end the long weekend with. 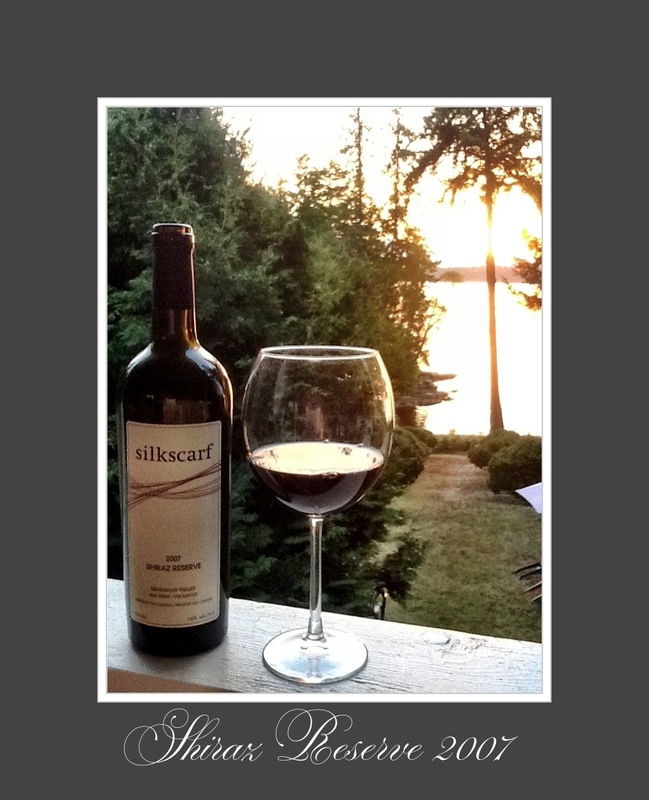 This entry was posted in BC, RED, Shiraz / Syrah. Bookmark the permalink.